Foot rail polished brass combination brackets with Fillagree and domed end on black powder coated tubing. 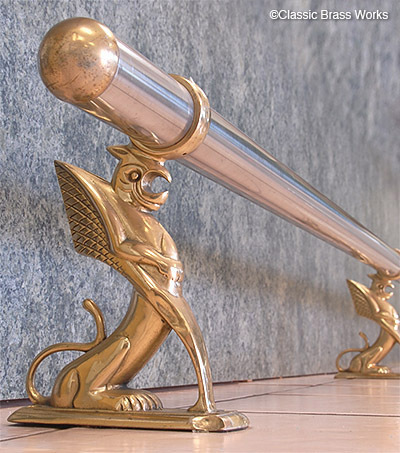 Stainless steel foot rail w/ solid brass Griffin brackets. More views. 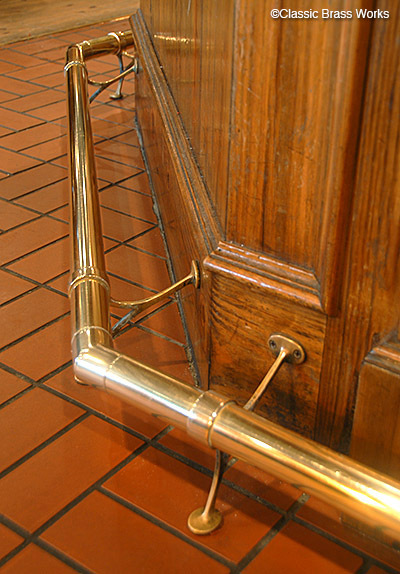 Bar foot rail with combination brackets, polished brass. More views. 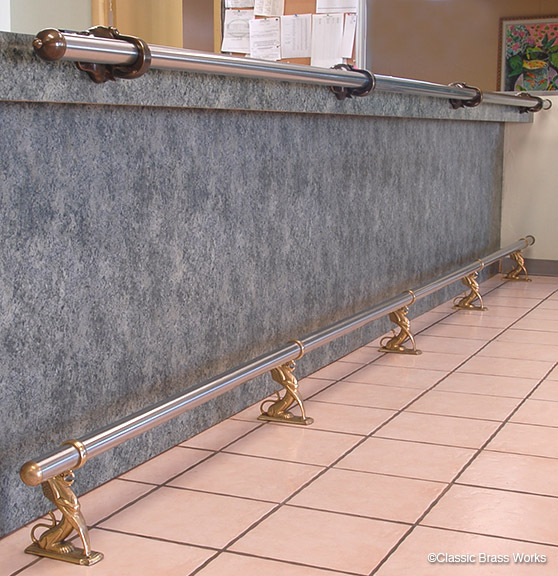 We custom manufacture hand rails, foot rails and hand rails to your specifications. We specialize in radius tubing for hand and foot rails. 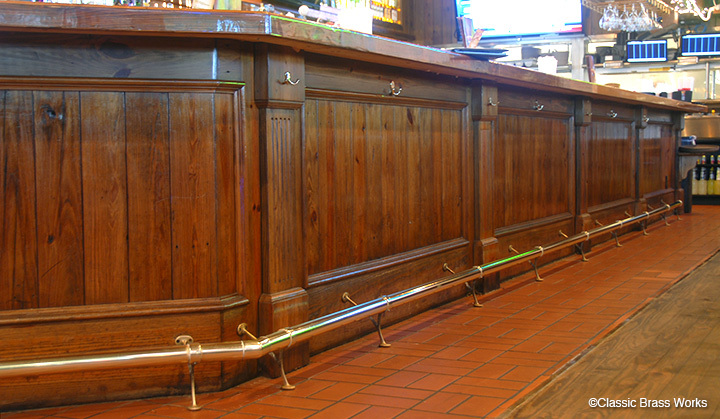 All of our rails are available in a multitude of powder coated or plated finishes. Please contact us on your specific needs.